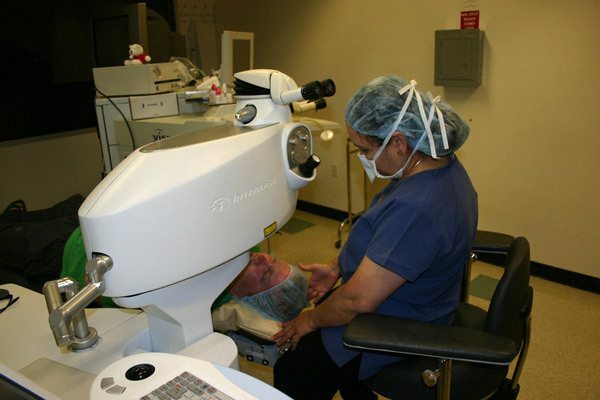 Laser vision correction procedures are types of refractive surgeries that correct refractive errors or vision problems like nearsightedness, farsightedness, astigmatism, or presbyopia. Typically, refractive surgeries either correct or improve vision by reshaping the cornea of your eye or involve implanting a lens inside your eye. These procedures have either altogether eliminated or reduced the dependence on glasses or contact lenses for millions of people around the world. LASIK is the most commonly performed refractive procedure today. 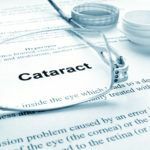 From 1990 to the present, over 10 million LASIK procedures have been performed worldwide establishing refractive surgery as the second most common ophthalmic surgical procedure, behind cataract (more than 10 million surgeries per year worldwide). In 2003, in the USA alone, more than 1.2 million LASIK surgeries were performed. There are no needles, no stitches, and no pain. Prior to the procedure, drops are placed in the eye to anesthetize it (like the ones used to check your eye pressure for a glaucoma test) and an instrument called speculum is placed in the eye to prevent you from blinking. A specially trained ophthalmologist uses an automated instrument called a microkeratome (similar to a carpenter’s plane) to create a thin, uniform flap in the cornea. The surgeon then folds the flap back (like the page of a book) to apply a computer-guided Excimer laser treatment to gently remove a thin layer of tissue from the exposed corneal surface to achieve a desired correction. 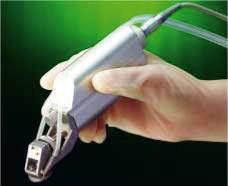 This is a cold laser and it ablates or vaporizes tissue away to microscopically reshape the corneal surface. After the computerized laser therapy is applied, the surgeon replaces the flap, where it naturally re-adheres in its original position. This treatment microscopically reshapes the cornea, resulting in greatly improved visual acuity without glasses or contacts. In just 24 hours following surgery, a vast majority of people see 20/40 or better. This continues to improve as the days pass, with the cornea healing with the assistance of medicated drops. Many people are able to return to work in one to two days. Discomfort is generally limited to some mild burning sensations or foreign body sensations in the eyes for a few hours. Today, LASIK has become the procedure of choice because the healing occurs in the interior of the cornea, and no re-growth of surface cells is required. The corneal flap protects the treated area and there is usually little or no post-op discomfort. Visual rehabilitation is much quicker and regulation of the healing process with long-term post-op drops is unnecessary since the center of the cornea tends to have much less of a healing reaction than the surface. There are two new advancements to further improve the safety and precision of standard LASIK. These include CustomLASIK and IntraLase. There are two types of optical distortions: low order and high order. Low order distortions include nearsightedness (myopia), farsightedness (hyperopia), and astigmatism. 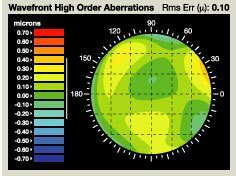 Higher-order aberrations are corneal irregularities, other than refractive errors, that can cause decreased contrast sensitivity or night vision, ghosting (“double” vision), starbursts, glare, shadows, and halos that some patients have had after the conventional LASIK surgery. Conventional LASIK surgery is limited to treating low-order aberrations. However, CustomLASIK (CustomVue) uses Wavefront technology to address both low-order and higher-order aberrations. CustomVue System, which includes the Wavefront Map and 3D ActiveTrak™ Excimer laser with Variable Spot Scanning (VSS™) is used to measure and treat the optical distortions. This system allows the surgeon to treat your optical distortion by performing Wavefront guided laser treatment according to your individual customized treatment plan. WaveScan transmits a safe ray of light into your eye. The light is then reflected back off the retina, out through the pupil, and into the device, where the reflected wave of light is received and arranged into a unique pattern that captures your lower- and higher-order aberrations. The resulting refractive map (Wavefront map) used in CustomLASIK is as individual as a fingerprint. No two eyes are the same. Like your DNA or fingerprint, your vision is unique. This map provides information on more than just the front surface of the eye. It shows the variability of how light is focused in different areas of the eye. 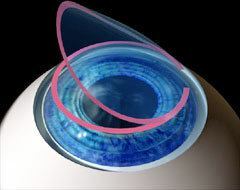 This information is then transferred to the Excimer laser, enabling the surgeon to customize the LASIK procedure to your unique visual requirements. There is no significant difference in how the actual LASIK procedure is done, whether Wavefront or conventional software is used. 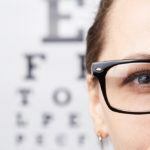 Like conventional LASIK, CustomLASIK won’t cure all vision-related problems, so it’s important to discuss its applications with your surgeon to determine if you are a good candidate. Until now, laser vision correction (LVC) treatment was based on diagnostic technology similar to that used for the prescription eyeglasses or contact lenses. The new CustomLASIK takes LVC to an entirely new, personalized level by combining exclusive personalized diagnostic technology with the Excimer laser. The advanced diagnostic portion of the new Wavefront technology produces a precise, detailed analysis of your vision and provides a personalized LVC plan that addresses your individual needs. This WaveScan Map is coordinated with the VISX STAR S4 ActiveTrak™ Excimer Laser System to create one of the most advanced systems available. The 3-D eye tracker with auto-centration adds a new level of precision, comfort, and safety. The benefits of CustomLASIK (CustomVue) include higher chance of seeing 20/20; the ability to treat people with larger pupils; reduced frequency of night vision problems following treatment; and clearer, crisper results compared to treatments performed without CustomLASIK. 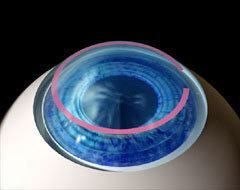 In standard LASIK, an ophthalmologist uses an oscillating blade called a microkeratome to create the flap. Sometimes, microkeratome is a source of surgical complications during traditional LASIK. A new laser, called the IntraLase replaces the microkeratome. It may make LASIK even safer. IntraLase creates the corneal flap and then the surgeon uses the same Excimer laser to perform the rest of the LASIK procedure. The “all-laser” LASIK approach, using the IntraLase and Excimer laser, not only avoids microkeratome-related complications such as corneal irregularities and scarring but may also offer the potential for better vision than after standard LASIK. Precision and control in LASIK surgery have everything to do with the accuracy of vision correction, quality of resulting vision and reproducibility among different patients and surgeons. Replacing the mechanical microkeratome with a computer-guided laser is a significant advancement. People previously “disqualified” based on the corneal thickness may now be eligible for LASIK with the IntraLase laser. The thickness of the cornea is an important parameter in determining the eligibility for LASIK. Most people have corneas about 550 microns thick. Most microkeratomes cut flaps that are about 130-160 microns thick. For people with thin corneas, LASIK surgeons tend to move cautiously, balancing the thickness of the cornea against the amount of vision correction needed. They may even decide that the procedure is inadvisable for a particular patient. The IntraLase laser can make thinner corneal flaps without compromising the safety of the procedure. 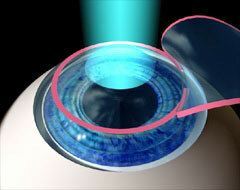 This may allow surgeons to perform safe LASIK in people with thinner, steep or flat corneas. CustomVue with IntraLase is the very best possible LASIK surgery today. 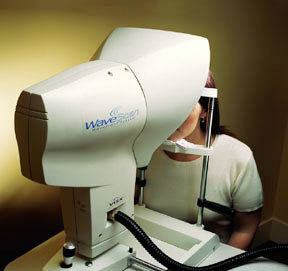 It is a blade-free; all-laser individualized laser vision correction. It uses a computer-controlled laser rather than a handheld mechanical device (microkeratome) to cut the corneal flap. This minimally invasive approach offers more safety and precision than ever imagined. 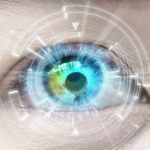 With CustomVue, surgeons can now identify, measure, and correct imperfections in an individual’s eyes 25-times more precisely than with standard LASIK. CustomVue with IntraLase provides an unprecedented level of safety and precision. PRK is a variation of LASIK, differing in that the surgeon does not create a corneal flap. Instead, the surface skin cells of the cornea (the epithelium) are gently removed, and then cornea is treated by the same Excimer laser. After this painless procedure, a contact lens is placed on the eye and left in place for three to four days, allowing the epithelium to grow back over the corneal surface. Although vision recovery is slightly slower compared with LASIK, some people are better candidates for PRK based upon corneal thickness and epithelial health. LASEK (laser epithelial keratomileusis) is a relatively new procedure that is a modified form of PRK. LASEK is mostly for people with corneas that are too thin or too flat for LASIK. It reduces the chances of complication that occur when the flap created during LASIK is not of the ideal thickness or diameter. LASEK procedure requires the surgeon to loosen the outer layer of the cornea, called the epithelium. Unlike PRK, the epithelium is not removed in LASEK. The surgeon instead makes an epithelial flap by using a mechanical blade. Epithelial flap is then folded back so that the laser can reshape the exposed cornea. After laser application, the surgeon replaces the epithelial flap over the corneal bed and places a soft contact lens on top. Visual recovery after LASEK is generally faster than in PRK but slower than in LASIK. Currently, the use of the Excimer laser for LASEK is not FDA-approved.